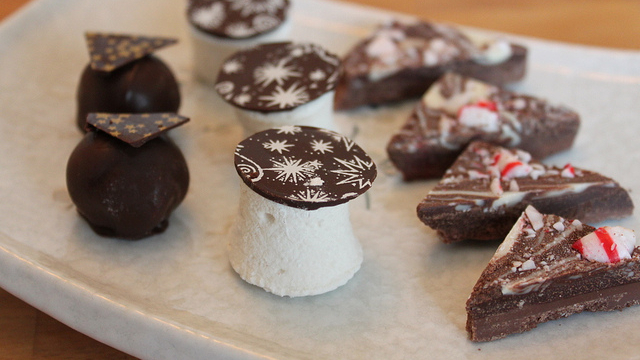 Chocolate advent calendars, chocolate stocking stuffers, hot cocoa and chocolate peppermints. 'Tis the season to indulge—and perhaps make up for it at New Year's with a resolution to exercise more. But what if all that chocolate doesn't require penitence? What if it's actually good for us? Reports of cocoa's health benefits tend to focus on the cardiovascular, and often warn that good effects could be erased when we consume our cocoa as sugary, fatty confections. After all, among antioxidant-rich foods like tea, blueberries, and red wine, chocolate is the only one that's also loaded with calories. But a new paper by Cuenca-García et al. 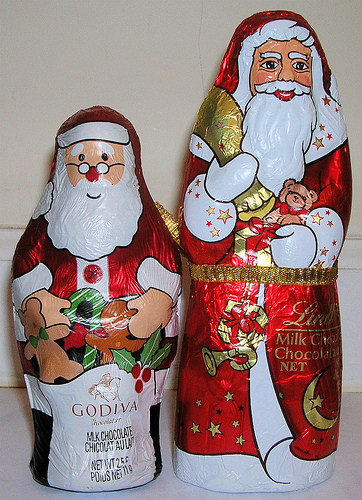 from the University of Granada has linked chocolate consumption to reduced "fatness" (measured with BMI, skinfold thickness, impedance, and waist circumference) in European teens. This confirms and extends a recent study from UCSD that found a similar link in Californian adults. In both cases, people who consumed more chocolate had both higher caloric intake and reduced BMI compared to those who consumed less. Chocolate’s potential to combat obesity while boosting caloric intake likely comes from the antioxidant epicatechin, which is found naturally in cocoa. The mechanisms behind this magic are still being studied, but it appears that epicatechin can reduce both digestion and absorption of fats and sugars. That would cause some calories to pass through our digestive tract unassimilated. Both European and UCSD studies, however, asked their participants to record simply "chocolate" consumption, lumping dark and milk together. It's likely that quite a bit of the chocolate eaten was milk, as other research has shown it to be preferred over dark by both Europeans and Americans. Yet the relationship with body fat was still observed. Is this good news for fans of the sweeter, lighter stuff? These studies only illustrate a link; they don’t prove that adding chocolate (milk or dark) to your diet will decrease your body fat. Golomb and her collaborators would like to look for metabolic benefits using controlled doses in a randomized trial, but unfortunately the “tight funding climate” has put off such a study. But if you want to experiment in a totally non-controlled, non-randomized way on yourself? I won’t judge you. 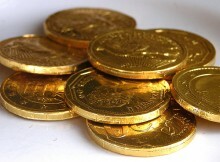 Pass the Chanukah gelt, please.